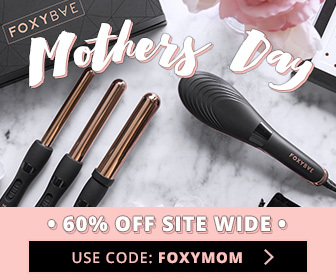 For the women who have chosen to rock their afros and tight coily styles without apology, but to this day are still in search of that perfect product mix that will reduce curl shrinkage, there’s a two-fer from Shea Moisture you must try. The Red Palm Oil & Cocoa Butter Collection almost guarantees looser, more stretched curls. Have we got your attention now? Keep reading! It’s normal for afros and curly-coily hair to experience some curl shrinkage, but not to half of the length of the entire strand. 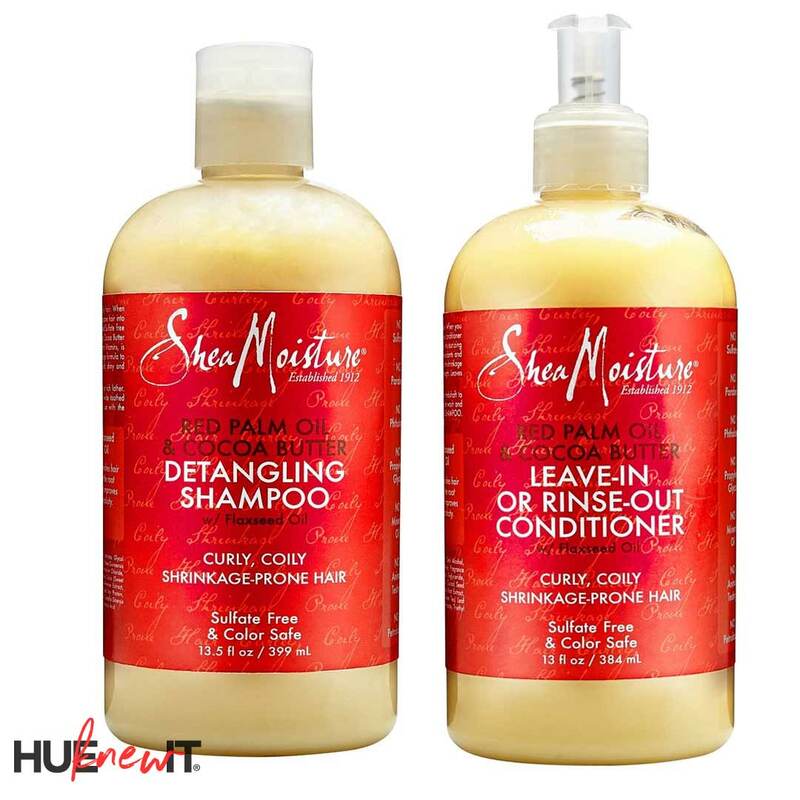 Shea Moisture Red Palm Oil & Cocoa Butter Detangling Shampoo and Shea Moisture Red Palm Oil & Cocoa Butter Leave-In or Rinse Out Conditioner is formulated to turn shrinkage-prone hair into luxurious, elongated locks. Perfect for 3-4C hair types, this shampoo is sulfate free, coconut oil-free, and is infused with antioxidant and vitamin rich red palm oil. 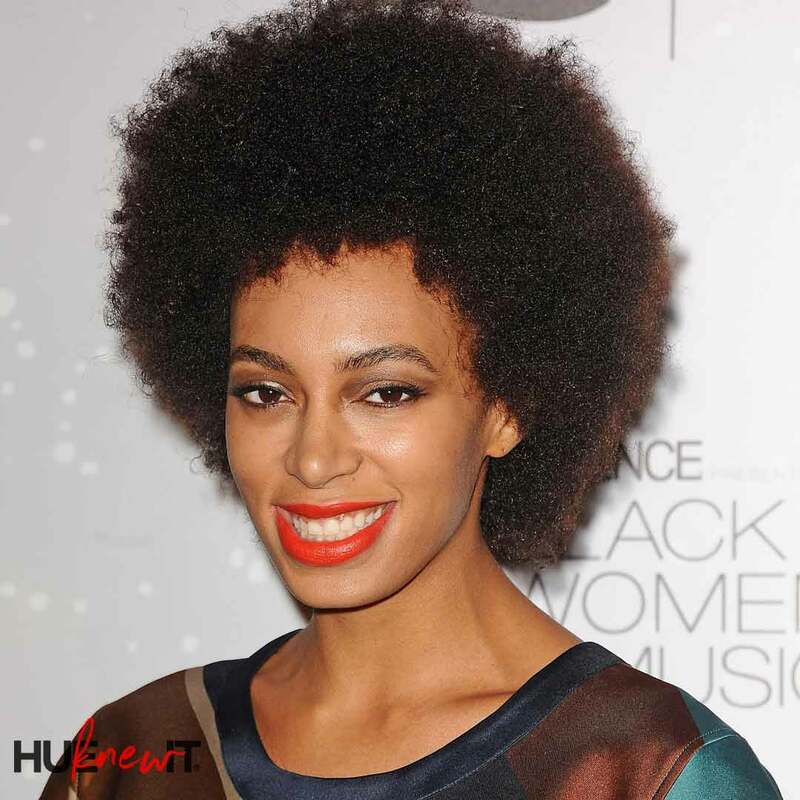 Wondering what the anti-shrinkage ingredient is? It’s the Flaxseed Oil which promotes a looser, more stretched curl along with moisturizing Cocoa Butter to leave your hair soft, shiny, and tangle free. Both products are made with ethically and sustainably sourced natural, fair trade and certified organic ingredients. Currently I’m sporting natural locks underneath a protective style that is more of a relaxed texture. With that said, I still need a powerful detangling shampoo and conditioner to help manage this wild mane when it gets wet and Shea Moisture Red Palm Oil came to the rescue. First of all I love the smell…reminds me a bit of one of my favorite perfumes, Flowerbomb, just not as sweet, just a hint sweetness. The detangling ability of the shampoo is pretty impressive considering how thick the strands are. Because some of my natural hair along my neckline is exposed due to some breakage, its nice that I can still enjoy the softening, detangling, and curl stretching benefits for which these products were created. My 4C natural curl can’t get enough of this shampoo and conditioner. The formula has a thick, silky feel and is pearlized from what I can tell. After I washed and conditioned my hair, my tight curls did loosen, which makes me super excited for the future as my hair continues to grow back. Ladies (and gents), if you’re wondering if you should give this Shea Moisture Collection a chance, do it, do it, dot and tell me all about your experience good or bad! How To Create Your Own Janelle Monae Pouf!